"We want to remove barriers to work and make it easier to get a job, while making sure public assistance is available for those who truly need it." 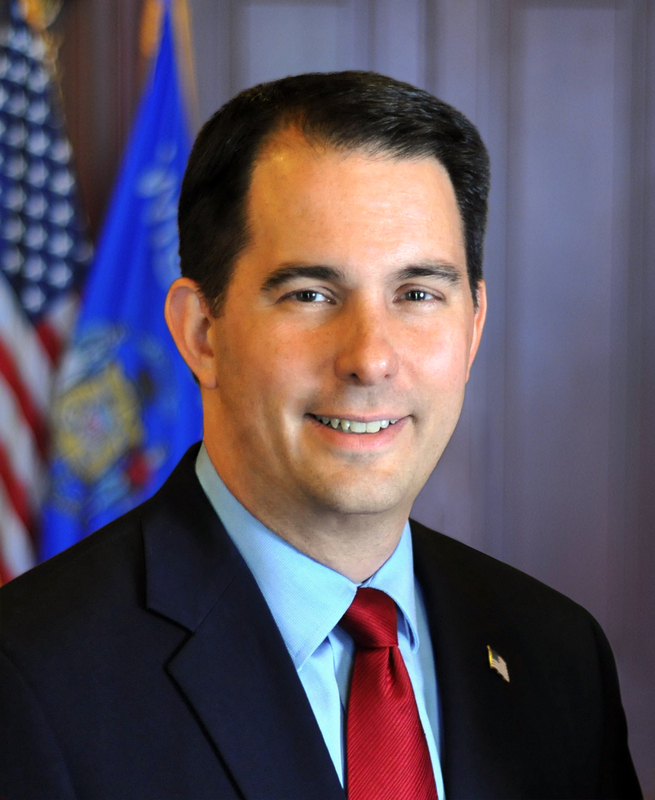 MADISON – Governor Scott Walker today called for a special session of the Wisconsin Legislature to pass Wisconsin Works for Everyone welfare reform legislation authored by Speaker Robin Vos (R – Rochester) and Senator Chris Kapenga (R – Delafield). The Wisconsin Works for Everyone welfare reform plan comprehensively addresses welfare reform. Several key initiatives include reforms to Wisconsin’s FoodShare system and the FoodShare Employment and Training (FSET) program, which provides hands-on job training and job search resources and has helped more than 24,000 FoodShare recipients learn an employable skillset and reenter the workforce. State agencies will also take administrative action to strengthen our process to more rigorously identify individuals receiving public benefits who may need substance abuse treatment in order to overcome their barriers to employment and move toward self-sufficiency. Additional proposed reforms under the plan include opening health savings accounts for people receiving medical assistance; providing monthly advance payments for Earned Income Tax Credit recipients instead of the current system in which recipients wait for their tax return; requiring public assistance recipients to remain current on child support payments; and establishing asset limits for people receiving certain forms of public assistance. Several items in this welfare reform package would require federal approval or federal law change. LRB-5218/5282 – Relating to: pay for success contracting, establishment of pay for success trust fund, and making an appropriation. Authorize the Department of Administration (DOA) to contract with a private service provider for payments to provide social, employment, or correctional services to individuals and create a “pay for success trust fund,” the balance of which may not exceed $20,000,000 at any time. DOA must determine that the contract is expected to result in significant performance improvements or significant budgetary savings for the state or a local government if the contract objectives are achieved. Contracts will be subject to approval by the Joint Committee on Finance and must meet payment, procedure, and schedule requirements. The following agencies, Health Services, Corrections, Children and Families, and Workforce Development, must conduct a study of their programs to identify whether and how the kind of contracting provided for under the bill could be utilized as an alternative to current funding models. LRB-5207/5276 – Relating to: creating a pilot and permanent program for making periodic payments to eligible recipients of the earned income tax credit and making an appropriation. If agreed to by the IRS, establish a two-year pilot program whereby 100 Earned Income Tax Credit (EITC) claimants will receive monthly payments throughout the year rather than requiring these recipients to wait until after they have filed their returns to benefit from the EITC program. For the pilot participants, this will better align work with the receipt of EITC benefits and seek to improve their financial stability. Advance payments to pilot participants will be limited to 2/3rds of their likely annual credit eligibility. The Department of Revenue will also compare pilot participants to a group of 100 claimants not receiving the advance payments to determine the success of the program. For tax years after the two-year pilot, this advance payment program may be made permanent and apply to all eligible EITC claimants if agreed to by the IRS. LRB-5217/5279 – Relating to: payments based on performance for Wisconsin Works and FoodShare employment and training program contractors. Requires DHS and DCF to implement performance-based payment systems for W-2 and FSET contracts. This is a new requirement for FSET and would apply for the next round of contracts under W-2, which currently include some level of performance-based payments. LRB-5214/5258 – Relating to: required hours of participation in the FoodShare employment and training program. The bill allows DHS to set the required hours of participation in FSET to coincide with the maximum allowed by the federal government for both able-bodied adults with and without dependent children. Currently, 20 hours is required for able-bodied adults without dependents. It is currently allowable to require 30 hours for able-bodied adults with dependents. This bill would only impose requirements for able-bodied adults with dependents if able-bodied adults without dependents are allowed with a federal law change. This would treat both groups the same. LRB-5213/5286 – Relating to: statewide FoodShare employment and training program requirement for able-bodied adults. This bill requires all able-bodied adults to include able-bodied adults with school aged dependents (six or over). This bill goes into effect on October 1, 2019 to align with the federal fiscal year. The funding for the program would be included in the 2019-21 budget. LRB-5222/5287 – Relating to: asset restrictions on eligibility for FoodShare, Wisconsin Works, and Wisconsin Shares. Establish a limit on assets related to a primary residence such that it cannot exceed 200 percent of the statewide median value home ($321,200) for W-2, Wisconsin Shares, and FoodShare and add a $20,000 limit on the total equity value of non-work-related vehicles to Shares and Food Share. An explicit exemption for agricultural land is included in the bill. W-2 would retain current law vehicle equity value limit of $10,000. Those on currently on Wisconsin Shares would be grandfathered in. Also, allow agencies to write rules creating hardship exemptions. Some provisions require a federal law change. LRB-5216/5288 – Relating to: requiring child support compliance in the Medical Assistance Program. The bill prohibits from participation in Medicaid parents and certain individuals who refuse to cooperate in paternity determination of a child, establishing or enforcing any child support order or obtaining any other payments to which a child or individual has rights. This is for able-bodied adults. LRB-5223/5289 – Relating to: require drug screening, testing, and treatment and employment screening of and employability plans for residents in public housing. To the extent allowed under federal law, require that the state housing strategy plan maintained under current law by the Department of Administration to include a requirement that public housing authorities conduct screening of adult residents to determine whether a resident is able-bodied and either unemployed or underemployed, and create an employability plan for each resident the housing authority determines is able-bodied and either unemployed or underemployed. Further, require the resident to participate in the plan. Also, require drug screening, testing, and treatment as a part of the plan as a condition of eligibility. LRB-5246/5290 – Relating to: creation of a savings account program in the Medical Assistance program. This bill would require Health Services to request an amendment to its Medical Assistance waiver to allow for the creation of health savings accounts for individuals on Medical Assistance. This could build upon the current 1115 waiver amendment that is under consideration by the federal government. Elderly, blind, and disabled individuals would be excluded along with children. This bill requires the Department of Health Services to prepare and submit a comprehensive implementation plan to the food and nutrition service of the U.S. Department of Agriculture for approval to issue electronic benefit transfer identification cards containing a photo to recipients of assistance under the federal food stamp program. Massachusetts and Missouri already have similar requirements in place. A copy of Governor Walker’s executive order calling for a special session of the Wisconsin Legislature is attached.